South African Airways (SAA) advises customers that the airline has extended its flight cancellations to include operations on Wednesday between Johannesburg and Blantyre, Malawi. The extended cancellation of flights to include Wednesday is due to the implementation of the corrective action plan following audit findings at the Chileka International Airport in Blantyre relating to the condition of the airport. The airline has dispatched a team from its head office to augment its local staff in Blantyre in order to accelerate the implementation of the interventions intended to remedy the situation and to allow South African Civil Aviation Authority (SACAA) to conduct inspections. SAA is optimistic that services between Johannesburg and Blantyre will be reinstated soon and is monitoring progress on a daily basis. “We are grateful to SACAA and appreciate their efforts in working with us to ensure the safety of our operations for the benefit of our customers and crew. We intend to maintain the prescribed operating standards and will not hesitate to take all and necessary steps in the interests of safety,” Tlali concluded. 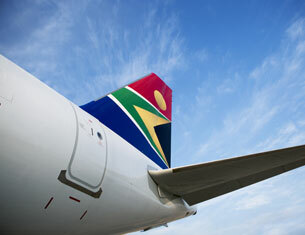 All customers that have not been ticketed can choose to be re-booked onto the Lilongwe flights operated by SAA. • Re-accommodation of reservations has been made by South African Airways onto the closest available flight between Johannesburg and Lilongwe. • Change of cabin will not be permitted. • Tickets must be re-issued on/before 26 January 2019. The booking owner may re-issue the ticket. • Tickets to be endorsed “INVOL Re-route due SA (flight nr) CXD/Date”. • In the event customers do not want to travel to Lilongwe, they can request a full Refund of the unused portion/ticket. South African Airways regrets any inconvenience to our customers as a result of the cancellations. Please be patient with us whilst we work on getting all our customers to their destinations safely.